It is possible to setup PromoServe in such a way that it will ask the user if the order has repeat origination. The following guide will explain how this can be setup. 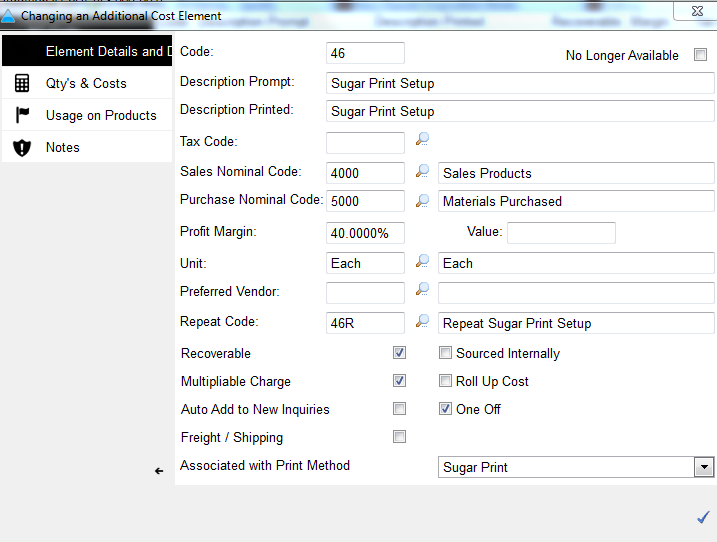 The first step is to create the additional costs that will be added to products. For repeat origination, 2 additional costs must be setup. 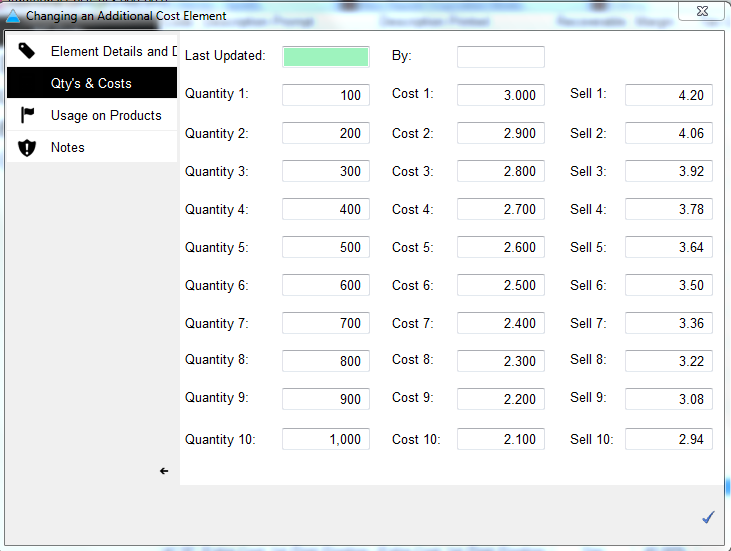 This is done via System Personalization>Additional Costs: click the add/change button to modify codes. Please see below examples of 2 origination codes. The important settings have been circled in red. Please ensure the codes entered/amended match. The link for asking the question, Is this a repeat? on the quote, is controlled via the Repeat Code of the main origination code. 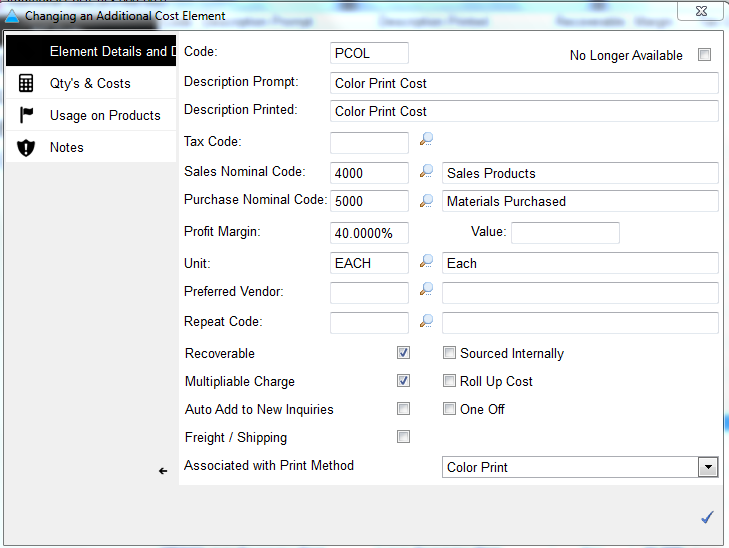 The additional costs must then be setup correctly on the products within your product database. It is possible to add/amend additional costs under the Qty's & Costs tab. 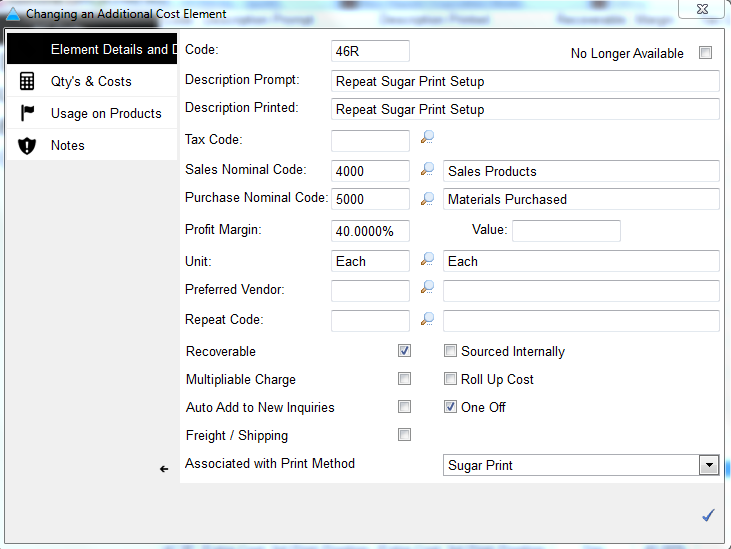 The product must include all additional costs, including the repeat origination costing. The above example shows a pen with an origination charge, the cost for extra colors, and the costs if there is a repeat origination involved. NOTE: the extra color cost pictured above has been defined that the main price of the product already includes the price for 1 color. PromoServe asks how many colors are required during the quote process. If the user enters 3, the quote shows 2, as 1 is already included in the price. It will however still add 3 origination charges.